KAMPALA – In its continued efforts to promote Uganda as Africa’s premier tourist destination, the Uganda Tourism Board (UTB) will, within the next few days, participate in the New York Times Travel Show scheduled to take place this weekend from January 25-27, 2019 in New York, USA. The Board will alongside Uganda’s Market Destination Representative in North America (PHG Group) and 8 Uganda tour operators represent the country at the New York Times Travel Show which is considered the biggest travel show in North America. The show is expected to attract more than 550 exhibitors from over 170 destinations. UTB is a statutory organization established in 1994 with the aim of improving Uganda’s competitiveness as an international tourism destination. UTB Chief Executive Officer Stephen Asiimwe said, Monday January 21, that the show is part of major outlined activities to showcase Uganda to travel enthusiasts in the American market and ensure that the number of Americans coming to Uganda increases. US is Uganda’s biggest tourist source. The delegation led by Asiimwe will engage travel agents and experts, airlines, embassies, and the media, among others, in a learning experience of Uganda’s offerings. “The number of tourists from the United States to Uganda has been on the rise with a 6.6% increment registered from 2016 to 2017. This is expected to increase in the coming years with funds concealed in aggressive marketing initiatives,” Asiimwe explained. 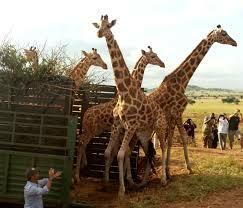 Available statistics indicate that there has been a spike in the number of tourists visiting Uganda. The year 2017 saw a record 1.4 million tourist arrivals to Uganda. This was a 6% increase from 2016. Currently tourism is Uganda’s largest foreign exchange earner contributing 23% export income and 10% to Gross Domestic Product. The industry fetches more than $1.4b (UGX5.1 trillion) annually and is projected to earn about $2.4b (UGX10 trillion) by 2020.